On March 24th yogis and enthusiasts came together at the luxurious fitness centre in White Oaks Resort & Spa to take part in a yoga experience like no other. 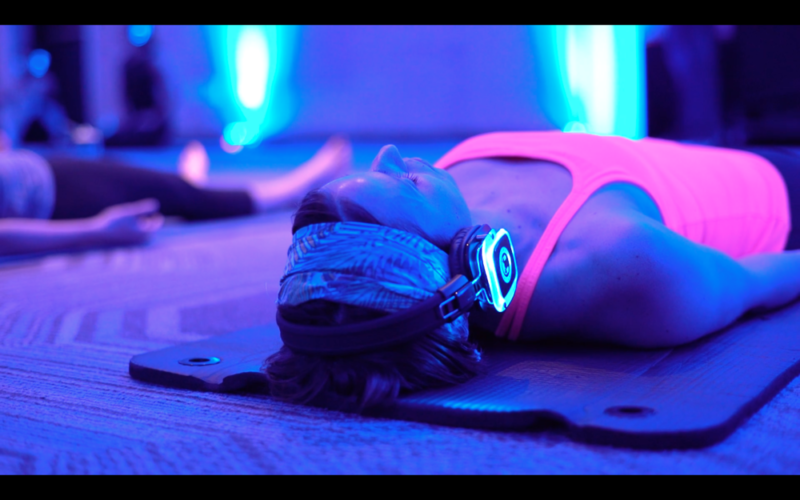 Silent yoga has finally arrived to Niagara and it is making people feel relaxed, refreshed and centred in an entirely new way. But, what is it that makes silent yoga so different from a “regular” session? It’s all in the headphones. By cancelling out external noises, the headphones allow you to reconnect more effectively with the self. Being in the present and understanding what your body and mind needs in that very moment becomes much simpler. Interested in hosting your own Silent Yoga Event? Learn more about Silent Beats Events Canada.